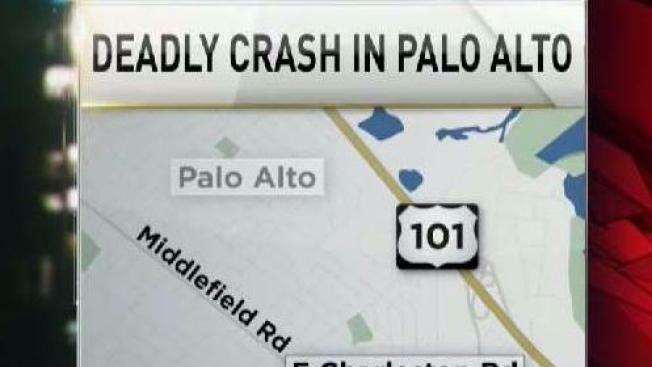 Palo Alto police were on the scene of a deadly vehicular accident Saturday night. Palo Alto police are investigating a fatal collision in the 400 block of East Charleston Road. The road will be closed for the next few hours between Nelson Drive and Carlson Circle, according to police. Drivers are asked to take alternate routes if traveling between Alma Street and Middlefield Road on East Charleston Road. Police said they would release more information about the collision on Sunday morning once the investigation is complete.